What to Wear to a Holiday Winter Wedding - Bloggers' Collaboration. On December 6th 215 (last Sunday) I went to a Black Tie Winter Wedding. Today I am sharing what I wore to the reception which started at 7.00 PM. I wore something entirely different to the vow ceremony and I will share that sometime next week. My Fancy Outfit today is perfect for the Holiday, Winter-themed Wedding Collaboration I am doing with 5 other Fashion Bloggers whom I have collaborated for Wedding-themed posts before, and you can check those posts here and here. It looks like all of us are wearing black pumps. I love how half of us thought skirts and tops and the other half thought dresses. We all couldn't look any more different yet all very chic, pretty and glamorous. 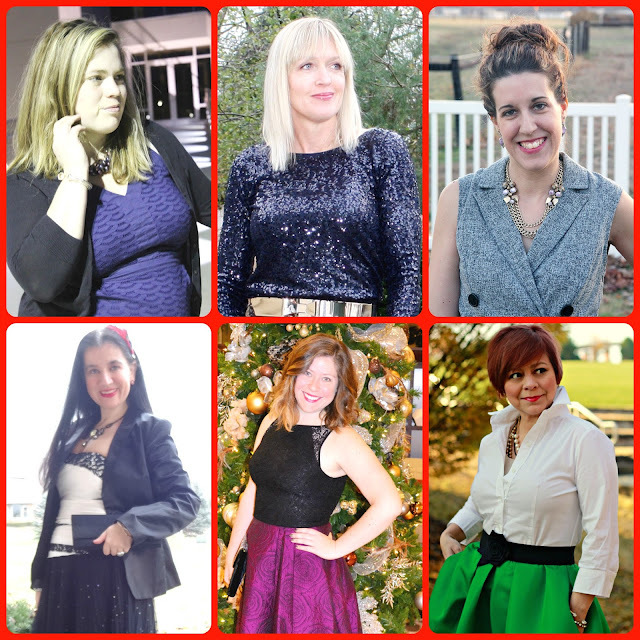 Check out all of these ladies' posts and see the details of their Winter Festive Wedding Outfits. Jill, Carrie, Whitney, Jennie and Rachel. My favorite look of them all is JILL from Doused in Pink. I love that she paired a breezy black maxi skirt with a gorgeous skin-tight sequin top which is perfectly long-sleeved for Winter. Her gold belt stands out too. Simply Stunning! Looking forward to working with these ladies again, in the future. For this wedding I did something I had never done before, I wore a top and a skirt instead of a dress. I stood out from the rest because with the exception of a few elderly ladies in skirts+tops, everyone else was wearing a dress. And I matched the colors of the wedding which were black, white and red. The tables were decorated in pretty red poinsettias wrapped in red tinsel paper and beautiful white bows. For a Holiday-themed Winter Wedding I think some red definitely needs to come into play though I used red in small doses (feather hair pin, stud earrings, lipstick, toenails and a ring). I also think at Winter time textures bring a lot of interest to your outfit and of course you have to be warm. Though when I took these photos around 5.30 PM it was almost 60 degrees out. I ended up pairing a Black Tulle Chiffon Pleated Skirt covered in iridescent black sequins with a Winter White Bustier all in tiers and with some black lace detail. I also wore a Black Tuxedo Satin Blazer over it. 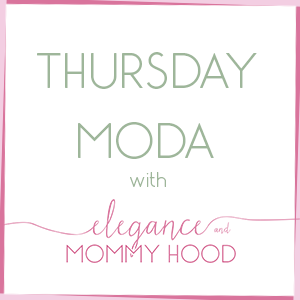 I shopped my closet for all these pieces. I accessorized with my Black Sequined Rosette Peep-Toe Pumps which matched the skirt so well, a Satin Clutch embellished with black beads, a vintage-looking Glass Statement Necklace, Red Flower Stud Earrings and a Silver Cluster Cuff. I also wore a couple of dainty pearl bracelets in one hand (mixed in with my 2 gold chain bracelets I never take off) which matched my Pearl Cocktail Ring. I usually put my hair up or curl it a bit for weddings but I decided to let it down and completely straight and just pin it off the side with a fun red feather barrette which is perfect for the Holiday season. What do you think? Aren't the luxe textures of the skirt, top, shoes and blazer fancy and festive for a Holiday Winter Wedding? I plan on wearing this tulle skirt sometime again this Holiday season and you might see another bustier or two from my large collection of bustiers, this month, also. Silver Cluster Crystal Cuff: White House Black Market (similar, Splurge), (similar, Steal). Red Flower Stud Earrings w/ Pave Stone in the middle: Aldo's (similar, Splurge), (similar. Steal). Black Metal Chain Statement Necklace w/ Clear Glass Olive Stones: The Limited (similar, Splurge), (similar, Steal). Gold Tone Ring w/ Rectangle Shaped Red Semi-Precious Stone: Express (similar, Splurge), (similar, Steal). Silver-tone Cocktail Ring w/ large Oval Pearl Stone: The Limited (similar, Splurge), (similar, Steal). Red Peacock Feather Hair Barrette: A Local Boutique in Albania (similar, Splurge), (similar, Steal). Black Sequined, Rosette, Peep-toe Pumps: White House Black Market (similar, Splurge), (similar, Steal). Ivory+Black Tiered Bustier in Satin & Lace detail: Bebe (similar, Splurge), (similar, Steal). Black Satin Tuxedo Blazer: Banana Republic (similar, Splurge), (similar, Steal). Black Chiffon Tulle, Pleated A-line, Midi Skirt w/ Iridescent Black Sequins: Express (similar, Splurge), (similar, Steal). 2 stretchy, dainty white pearl bracelets + 1 stretchy, dainty silver pearl bracelet (part of a bundle): The Limited.